TURIN – Andrea Formica faces a tough challenge once he arrives at Fiat Group Automobiles: turnaround sales at the four-brand division without any short-term help from new products. 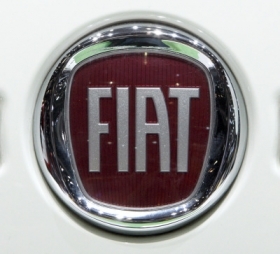 Fiat will hire the former Toyota Motor Europe sales and marketing boss to head sales at the Alfa Romeo, Lancia, Fiat car and Fiat light commercial vehicle brands, sources familiar with the matter told Automotive News Europe this week. Lorenzo Sistino has held that job since January 2009. The sources said Sistino, 48, will remain with Fiat, but it is unclear whether he will keep his CEO jobs at Fiat's car and LCV brands. Formica's hiring is part of a major management overhaul that Fiat CEO Sergio Marchionne is expected announce later this month, the sources said. Formica will need to revitalize a division that has faced a double hit in 2010. Fiat Group Automobiles' first problem has been the end of car scrapping incentives that last year and for part of this year encouraged car buyers in Europe's biggest markets to trade in their old models for small, inexpensive, fuel-efficient cars such as the Fiat 500, Panda and Punto. The second problem is that Fiat is in a product trough. Fiat brand's newest model, the 500 minicar, has been on the market for three years. Fiat expected better sales results from the Punto/Grande Punto subcompact, which got a new interior as part of a mid-cycle update in September 2009, but Punto sales in Europe were down 16.0 percent to 173,655 units after seven months. Through July, total sales of Fiat Group Automobiles models were down 12.1 percent to 708,378 units in a total market that slipped just 1.5 percent in the period to 8,819,860 units, according to UK-based market researcher JATO Dynamics. Formica spent 13 years with Ford of Europe before joining Toyota Europe in 2002. He was promoted by Toyota to senior vice president for sales, marketing, product planning and communication in April 2008. He has been the face of Toyota Europe as the division undergoes its most extensive recall campaign in Europe. Formica apologized to Toyota's European customers over the recall during the Geneva auto show in March. Toyota has recalled nearly 2 million cars in Europe and more than 12 million worldwide to address safety issues. Due in part to the recall, Toyota's European sales were down 14.6 percent to 407,018 units after seven months, JATO data shows. TRS uses a series of interconnected processes aimed at improving dealer operations. The program was launched in the Czech Republic in 2006 and has been rolled out Europewide since then. TRS was modeled after the renown and much-copied Toyota Production System, which is a disciplined problem-solving tool that stresses quality and efficiency. Formica started his automotive career in 1989 as a sales zone manager for Ford in Italy. He moved to Ford of Europe headquarters in Cologne, Germany, as marketing manager for small cars in 1992. Two years later he returned to Italy as general sales manager. 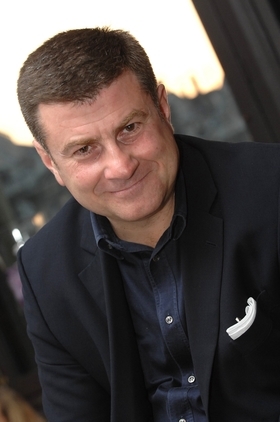 From 1997 to1998, he was marketing director at Ford of Britain, a post he held until 1999 when he was promoted to chairman and managing director of Ford of Italy. Formica led Ford in Italy. While leading Ford of Italy, Formica kept sales stable at more than 180,000 units a year, maintained a market share of about 8 percent and slashed the dealer network to 115 from 260. The dealer-reduction strategy, known as Customer Market Area, gave the surviving dealers larger sales territories. The aim was to help them double their business and protect their margins. For the last five years, Ford has ranked among the leaders in the Dealerstat survey that rates Italian dealers' satisfaction with their carmaker customers. Formica, who is a native of Italy, has an MBA from the Bocconi University in Milan and a degree in economics from the University of Siena.